Another unexpected 2012 gem, by 19-year old California artist Jay-Miss-Elle, otherwise known as JMSL, "Elle M'aime" is an interesting listen that excites the senses. 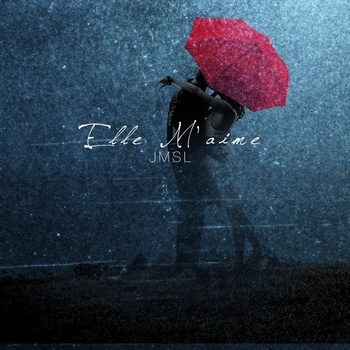 Not only is the cover art for "Elle M'aime" fantastic, but the music is unbelievably mature. Like so many other great records released this year, this music is difficult to categorize. The best one can possibly do in most instances would be to call this a creative amalgam of avant-garde trip-hop, chillwave, and electronic ambient music. Even that does not begin to describe what graces listeners' ears with this album. "Elle M'aime" is a diverse listen that covers plenty of space and many different styles of music, but is mostly rooted in electronica. The 13 track invoke numerous emotions, from lighthearted electro-pop, to dreary, down tempo chillwave that carries a certain vibe of trip-hop. This is something you must hear to get a proper feel for what the music is like, and it takes several tracks to understand at that. Each track is sparsely populated with trip-hop beats set across a canvas of emotional and atmospheric experimental ambiance. JMSL's vocals are an electronically distorted array of interesting pop singing, carefully modified with exceptional digital effects that are at the same time out-of-this world and strikingly down to earth. Though it is mostly impossible to understand the lyrics, the style of singing and vocal effects manage to convey the emotion behind the words succinctly.